NOW is a time in which many are awakening to who they truly are—an Eternal Child-god! As we do so, we are having many mind-boggling experiences revealing LIFE as it truly unfolds. NOW is a time in which we need to withhold judgment and watch as life unfolds. 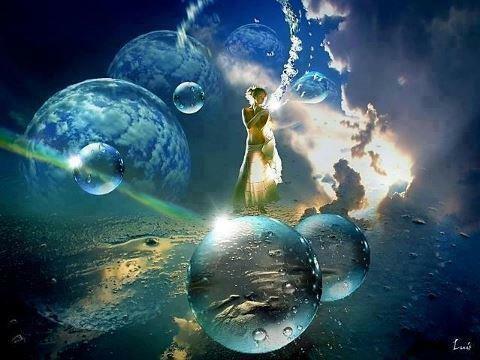 Synchronicities are leading us into discoveries about which we have not dreamed. One of my life mottos has been “With God all things are possible.” However, the more I awaken to my Eternal Self and watch as others do the same, I realize that my motto has been an affirmation of far greater truths than I could possibly have accepted as a young adult. We have no inkling of the magnitude of life until we begin awakening to the ever-expanding story of our individual lives. Living on the 3rd Dimension has been like walking through life wearing a blindfold! Walking blindly has largely been the result of not recognizing the truth of our Eternal Self. We have suffered needlessly because we have maintained a view of life that lasts for only a few days, months, or years. I include below a few excerpts from a chapter entitled “Have I Lived Before?” in my 1st book, A New Age Christian: My Spiritual Journey. “The belief in reincarnation is like removing the lid from a pot of boiling water—it lets the steam out. No longer is the steam screaming to be released from the small confines of one lifetime. Knowing that we have lived before and will live again releases a tremendous amount of bottled up emotional energy. Job is now a 5th degree Initiate. He looks back at his old way of life and recognizes the error thinking that predominated. As a result of his erroneous thought patterns and ignorance of Truth, Job was brought to his knees in anguish. God did not inflict the pain. Instead, Job’s suffering was the external manifestation of his own inner dis-ease. Once we awaken to Truth, we look back and bemoan our mistakes and ignorance. Job is no exception. “Then Job answered the Lord, and said, ‘I know that thou canst do all these things, and that no purpose can be hid from thee. Who am I to think that I can give counsel without knowledge? Therefore thou hast declared to me that I have uttered that which I did not understand, things too wonderful for me which I did not know.” 301 Does this mean that we are to sit back and wait for enlightenment before we speak the portion of Truth we know? No. As Job states: “No purpose can be hid from thee.” As long as our motives in doing so are pure, God perceives as beneficial any effort we make to share the Good News of our true identities as child- gods. Job realizes that his motives had not always been pure. Instead, he had responded in ways that befitted his highly respected status within the community. “Hear me, I pray thee, and I will speak; I will ask thee, and declare thou to me; I have heard of thee by the hearing of the ear, but now my eye sees thee.” 302 Heretofore, Job had been like the majority of us: he had simply allowed the religious leaders to speak of God and followed their instructions. He had not sought Truth on his own; he was asleep spiritually. Job felt no compulsion to seek a deeper personal relationship with God. God was simply a Being about whom Job could debate intellectually with his friends and the elders in the city gate. Then, Job’s two dark nights of the soul 303 compelled him into a search for life’s true meaning. The biblical narrative appears to say that a few weeks of meditation will lead to cosmic consciousness. The forty-two (42) chapters of the Book of Job signify a journey that can cover the span of numerous lifetimes. 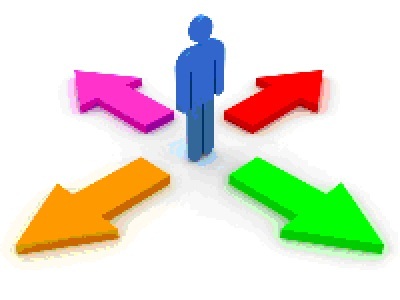 Job did not take an intentional spiritual journey through the initiatory process. Instead, it required severe suffering and shock in order to awaken Job enough to compel him to ask questions about life and to seek his own Truth. Once we awaken enough to take an intentional initiatory journey, we do tend to move along at a more rapid pace. But this takes concentrated effort. The normal human growth process consists of one step forward and two steps backward, until our auric field is purified and we reach the stage of cosmic consciousness. Then, we behold God, face to face. Job has achieved the capacity to see God with his eye, meaning through his 3rd eye chakra. Job can now know God because his conscious awareness has crossed the Rainbow Bridge and he beholds his magnificent I AM PRESENCE. Within this glorious Light, Job proclaims: “now my eye sees thee. Therefore, I will keep silent, and repent in dust and ashes.” 304 Immersed in the Light of his I AM PRESENCE, Job is silenced. No longer is he uttering one sentence after another of intellectual jargon. Instead, he repents of his former mistaken life patterns. At this point in the story, it is essential to remember that Job’s friends symbolize parts of himself: Eliphaz, his material consciousness; Bildad, his intellectual thought; and Zophar, his darkened, limited thought that flits from one idea to another and therefore, fails to achieve any depth of understanding. As long as we remain stuck in these physical plane patterns of thought, we cannot know Truth. Note that Elihu, who enters the story in chapter 32, is not included in God’s displeasure. Elihu, signifying the Holy Spirit, led Job to the threshold of Truth. But Elihu had to wait on the sidelines until the parts of Job that could perceive only the material and intellectual worlds had exhausted their attempts to explain Job’s suffering. Why does the narrative not affirm that the Lord favored Eliphaz, Bildad, and Zophar? Because they are the parts of Job that have been transmuted, transformed, and integrated into the higher consciousness he now possesses. The bridge to the past has been burned in the transmuting flame. Job stands, in his newly achieved wholeness of being, in the presence of his Christed Self and I AM PRESENCE. Job is re-united with his eternal Self. Eliphaz, Bildad, and Zophar were temporary parts of Job; they no longer play a role in his life. God favors the eternal Job, the 5th degree Initiate. “Then came there to him all his brothers and all his sisters and all they that had been of his acquaintance before, and did eat bread with him in his house; for they had been in distress over him, and they comforted him for all the hardships that the Lord had brought upon him; and every man also gave him a ewe, and every one an earring of gold.” 307 This passage can be interpreted on at least two levels. First, while we go through our dark nights of the soul, many of our physical plane friends and family cannot understand what is happening. After all, our Soul is striving to achieve a level of consciousness that takes its departure from that of the tribe, or society as a whole. We are bucking the system, which is unsettling to many. We cannot change without impacting those close to us. This can be frightening to those who are still keyed into the Eliphaz, Bildad, and Zophar parts of themselves. Many tend to pull away because the changes within us bring up feelings of discomfort within them. Then, when we emerge from our dark nights of the soul, still intact, our family and friends are relieved. They may gather around us. They may be more supportive of our efforts. Certainly, they have continued to love and care about us, even when they had no way to demonstrate that love. Bread is highly symbolic. In the ancient Middle East, enemies do not share bread. To be invited to share a loaf of bread is indicative of trust and loyalty. One does not share bread, then knowingly betray the host.309 Bread is used throughout the Bible to indicate a highly significant event. Melchizedek, King of Salem, celebrated a military victory with Abram by offering him bread and wine.310 God fed the Israelites manna (or bread-like substance) from heaven during their time in the wilderness.311 Bread was associated with religious celebrations, such as the Feast of Unleavened Bread.312 The “Bread of the Presence” sat in the Ark of the Tabernacle313 and continues to sit in the synagogues of today, just as the Bread that has become Jesus sits in the Roman Catholic churches. Jesus continued this use of bread in a highly symbolic manner. One of his most memorable so-called miracles was the feeding of five thousand men (not counting women and children) with bread and fish.314 The Father, who spoke through Jesus, taught: I AM the bread of life; he who comes to me shall never hunger; and he who believes in me shall never thirst.” 315 Jesus closed his earthly ministry by sharing with the twelve disciples a symbolic meal of bread and wine.316 Throughout the Bible, bread proclaims the story of God’s relationship to humanity. Job’s brothers, sisters, and acquaintances share bread with him to indicate the merging of his physical plane life with that of Spirit-they are now One. Excerpts from my 2nd book, Where Are You, God? A Metaphysical Interpretation of the Biblical Book of Job. Reading this book, which is free at the above URL, reveals to us many of the experiences we all have as we embark on the spiritual Path to Ascension into the Christed Consciousness. We behold reunions with our Soul Family members regardless of where they reside: in the world of spirit, on space ships, within other planets, or anywhere within the multiverse! These reunions are taking place at this very moment! As I skimmed the article by Veterans Today’s Dr. Preston James, an encounter I had with a young male policeman in 2011 popped into my mind. I tell the story near the end of this article, “A Twin Flame Story” – https://pathwaytoascension.wordpress.com/2011/04/22/a-twin-flame-story-2/. However, I did not report the entire conversation I had with the policeman. This young policeman had me pull over because it appeared I had not gotten my 2011 car registration sticker. The Dept. of Motor Vehicles sent out bills for the 2011 registration in September 2010. I paid the bill and forgot about it. When the policeman told me I had not registered my car for 2011, I was shocked. Without thinking—and because I knew no better—I opened the car door and got out to check for myself. Turns out my automatic response could have been mis-interpreted by the policeman as a potential attack on him. 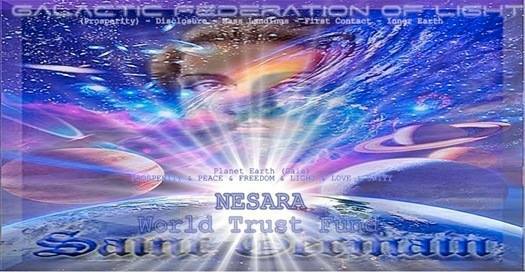 I knew from working with the NESARA TAKE ACTION groups that American police had been trained to react in a manner more like military offensive behavior and that the elderly were not exempted from this action. Had the policeman responded as he had been trained, I could have been thrown to the ground for getting out of my car without being commanded to do so. Instead, he simply stepped backward. He threatened me with a ticket that would require me to go to court and settle. He listened to my explanation—that I had paid the bill, but obviously had not received the registration sticker. However, before allowing me to drive straight to the Dept. of Motor Vehicles and get a sticker, he told me: “You are lucky I am the one who stopped you because most policemen would be much tougher on you than I am being. I will be checking on you via my computer to be sure you get that sticker immediately.” As it turned out, I learned at the Dept. of Motor Vehicles that he could have simply go to his car computer and ascertained by explanation. The rest of the story is in my article. I report the above in order to say that during this present transitional period (and it has lasted for years), knowledge is actually a means of protection and a means of Amercan citizens supporting only those political leaders who are working for the people. We frequently receive e-mails requesting we sign a petition. A late 2014 example is a petition to refund Homeland Security. Without knowledge of the real nefarious purpose in establishing Homeland Security, American citizens very likely signed the petition thinking Homeland Security was established to protect America and its citizens. We may make innocent mistakes because we lack knowledge, but those mistakes can serve to render life more difficult for Americans. It is for this reason that I post Dr. James’ article and encourage you to skim it and glean the knowledge we all need in order to make decisions that will truly benefit all Americans. It does more harm than good to respond with “I don’t get involved with politics; it is too corrupt.” To do so depletes the number of American citizens who would act for the good of the whole and accomplishes the exact scenario desired by those who are seeking to enslave us via our lack of knowledge. It’s now 2015 and the difficult battle between the Light & the Dark is almost over. However, those of us who desire to see the Golden Age of World Peace, Love, and Abundance for All emerge must be aware of what is truly happening or we stand to unknowingly support those who serve only themselves. As major changes become public, Americans need the knowledge of how our world got in the sad shape it is in … or, we may end up fighting against the very changes that will grant us true freedom. An excellent example of this misguided support relates to Israel. Millions of Christians and Jews have been taught that the Bible is the absolute Word of God and not one word is to be changed. Because the majority have no knowledge of biblical history, many accept this teaching of biblical inerrancy. It is for this reason that many Americans hold firm to the biblical teaching that Israel is the Promised Land and the Jews are the Chosen People. To believe in this way sets up a scenario in which learning the truth as revealed in Dr. James’ article can create dismay for many—their belief system is directly threatened and many may feel that to support actions that are not in accordance with the belief that Israel is the Promised Land is to go against the teaching of the inerrant Word of God—the Bible. Lack of knowledge for these sincere people places them in a situation where they may feel they are disobeying God, with all the fearful repercussions that may hold for them. With this in mind, I encourage all to SKIM this complete series of articles in order to begin to gain insights as to the truth unfolding in our world. I encourage all of us to accept this truth as just that—the truth regarding how our planet came to be so filled with darkness. Universal Laws will see that justice is served. Meanwhile we, as American citizens, can respond by enfolding our planet and all on it with the healing energies of LOVE. We can also respond to the truth being revealed by supporting those leaders who are working in ways that benefit ALL. Why are American Police murdering so many unarmed Civilians and getting away with it? 5TH GRADE TEACHERS ARE CREDITED WITH RECOGNIZING THE POTENTIAL WITHIN BOTH BARACK OBAMA & VLADIMER PUTIN AND ENCOURAGING BOTH TO BECOME ALL THEY WERE BORN TO BE! ENCOURAGING BOTH TO BECOME ALL THEY WERE BORN TO BE! In the words of President Obama today (April 29, 2015) as he honored Shanna Peeples as the 2015 National Teacher of the Year. In doing so, he also paid tribute to his 5th grade teacher, Ms. Hefty. “I credit my education to Ms. Mabel Hefty just as much as I would any institution of higher learning. When I entered Ms. Hefty’s fifth-grade class at Punahou School in the fall of 1971, I was just a kid with a funny name in a new school, feeling a little out of place, hoping to fit in like anyone else. The first time she called on me, I wished she hadn’t. In fact, I wished I were just about anywhere else but at that desk, in that room of children staring at me. But over the course of that year, Ms. Hefty taught me that I had something to say — not in spite of my differences, but because of them. She made every single student in that class feel special. And she reinforced that essential value of empathy that my mother and my grandparents had taught me. That is something that I carry with me every day as President. “His teacher, Vera Gurevich, recalls, ‘In the fifth grade, he still hadn’t found himself yet, but I could feel the potential, the energy and the character in him. I saw that he had a great deal of interest in language; he picked it up easily. He had a very good memory and an agile mind. 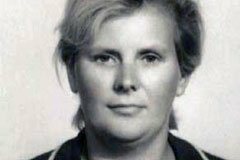 Until the sixth grade, Vladimir Putin was not very interested in studying, but his teacher Vera Gurevich saw that he could do better and get higher grades. She met with his father asking him to influence his son. 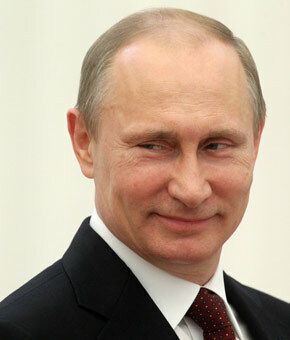 It did not help much, but Vladimir Putin himself radically changed his attitude toward his studies when he was in the sixth grade. Filed under: 5th Grade Teachers, Barack Obama, Vladimir Putin |	Comments Off on 5TH GRADE TEACHERS ARE CREDITED WITH RECOGNIZING THE POTENTIAL WITHIN BOTH BARACK OBAMA & VLADIMER PUTIN AND ENCOURAGING BOTH TO BECOME ALL THEY WERE BORN TO BE! Dratzo! We come bringing happy news! The initial tests of a most thought out and prepared distribution system has begun! Many of the bankers involved in this system have much experience for this system to succeed. In addition, certain European members of these ancient families are specially qualifying the funds. They know what is needed for these monies to cross the Atlantic and be sent swiftly to your bank account. All precautions are being taken to assure that these blessings serve the uses intended for them. Arrests of malevolent bankers and the like are happening as well to assure that these operations are quite successful. Hence, we ask you to be patient and know that each aspect of this process is carefully supervised and as funds are received, the next step in this most complex working is done. It has taken us much longer to recover all the stolen funds and to begin a new process, which is now to allow you to obtain your blessings. We therefore ask you to become more patient. It has taken us a very specific period of time to reach where we are now! As we achieve the final steps in this very complicated process, be aware that we are starting a special deconstruction of a global system refined again and again by the dark cabal. These minions of the dark were very careful to put into operation a global system with their far-reaching control. Each aspect was carefully given a counter check to see that their nefarious operations were flawlessly carried out. Any attempt to override this process was harrowing. Thus, it took a number of members of the ancient families and a team of specially trained bankers and lawyers to finally crack this system. A process in its final stages of testing is only the beginnings of what we are to do next. We need to keep these lines open and provide more alternatives to what we now have in place in other parts of your globe. Various more powerful nations are helping us as well. As this new banking and currency system comes together, be apprised of the fact that you are getting very close to seeing great changes in the world. These are to bring you new governance and disclosure! Our arrival is to be a watershed for your global society. At present, you are a fractured people. Each of you possesses a special culture and a series of languages. You have no memories of how you arrived at this present time. Each group of societies has a hodgepodge of myths that supposedly describe your origins. You as well have languages whose origins are equally unknown. In short, you do not truly understand who you are and where you come from. This amnesia was caused long ago to prevent you from really knowing who you are. Once we arrive, this is to be replaced by truth. We intend to give you back your history and provide you with a group genealogy, which is to end this long confusion. We are as well to introduce you to the multitudes of skin colors that galactic humans use. Use this information to get a better idea of human diversity and how it has helped all of us to forge the many cultures that make up our many thousands of star nations spread across this galaxy. Your future star nation is to be yet another reflection of this reality. As you can see, you are now on a journey, which is first to enable you to see each other as a people of many colors sharing this wondrous star nation. This process is currently confined to Gaia. Soon, you are to spread throughout this star nation and discover the marvels that exist on the other sister water worlds. As you do, remember that you are the magnificent prodigy of star colonists that long ago came here to help maintain and sustain these lovely water worlds. Much happened over the intervening years. Be aware again of this history and learn in your heart how best to divinely serve this star nation to come. It has a grand destiny. It is to bring a permanent peace to this galaxy and to allow our outreach programs with other galaxies to reach a forecasted crescendo. We are most happy to be permitted by Heaven to serve you. The time that is to bring us together swiftly approaches. Look at this time as the moment when you renew your acquaintances with that part of your family, which you forgot about. This cloud of amnesia is at that time to be graciously lifted. Namaste! We are your Ascended Masters! Our associates in the ancient families and those working to alter the current unfair financial system are ready to begin the final set of procedures to get you your blessings. The major blocks to success have been cleared! Many decades ago, we Ascended Masters began a process to give you the wealth needed to let your wondrous projects manifest. At the start, our many directed meditations and purposeful prayers had only a limited effect on the machinations of the dark. Yet, we persisted and in time these joyous visions started to have a greater and greater effect on the intent of the dark. Our endurance led a few decades later to the intervention of Heaven. This permitted the Anunnaki to suddenly proclaim their allegiance to a great peace by the Ancharan Continuum. In addition, Heaven sent us the Galactic Federation. We now sit at the very edge of a new reality for surface humanity. We bless and thank Heaven for its most glorious action on our behalf. The dark is now in retreat. Your support of our prayers has yielded the actions that all of us carefully envisioned. Let us take this time to be gracious for what has happened. Look upon these actions as the power of collective action combined with the persistence to carry these desires to the point in which they begin to manifest. Use these events as a proof of what your positive persistence can achieve. As we begin shortly to enjoy these wonderful benefits, take this effort as an example of what powerful collective ideas can accomplish. Even as you begin to physically implement these ideas, keep in mind how this degree of focus can produce miracles. You live now in a growing realm of such miracles. Use this concept to help and to heal each other! As you become aware of what is presently happening in this reality, use this energy to help each other. We are in reality, one. This grand unity is at the core of these times. One does not need to go to Heaven to learn how easily miracles are waiting for you. Your grand spiritual power is what this age is all about. Learn to cherish each other and to do much needed service for Gaia. Each aspect of humanity and each section of Gaia’s ecosystems, are precious and sacred. It is often easy to forget this. We ask that you point your focus to this and encourage Mother Earth and every society to heal itself. We possess the energy to alter this reality and to permit all to transform the struggles that surround you. Inside you, waiting to be revealed, are ancient wisdoms, which you innately possess. This is the time to go inside and let this greatness out. Let us come together and manifest a great healing for all! Edgar Cayce has said in his teachings that Arcturus is one of the most advanced civilizations in this galaxy. It is the fifth- dimensional civilization that is a prototype of Earth’s future. Its energy works as an emotional, mental, and spiritual healer for humanity. It is also an energy gateway through which humans pass during death and rebirth. It functions as a way station for nonphysical consciousness to become accustomed to physicality. 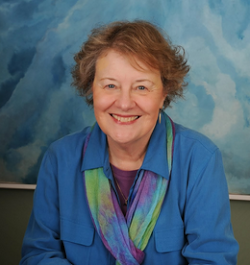 Dr. Suzanne Lie is a gifted psychotherapist, teacher, author and artist, specializing in helping others connect with their Multidimensional Selves. Dr. Lie channels the Arturians. During April 2015, the Arcturians have given us “weather” reports on the intense energies now enfolding our planet and how those energies are likely impacting us. When I first began searching for some answers about life that made sense to me, very little information was available. There were no metaphysical book stores in many cities. We did not have the internet. As a result, what we believed about life was very restrictive. “Show me the proof” was an acceptable request because our knowledge was largely limited to what our five lower senses could tell us. In the early 1980s, many had no concept of our most valuable 6th sense—our Intuitive Mind. As far as knowledge about the unseen world goes, many Westerns are only about 35 years old. However, this is rapidly changing and the doors to a fascinating, unknown cosmos is being opened for all to experience! Delores Cannon, who returned to spirit on October 19, 2014, began her work at a time when few in the Western world had heard of reincarnation. Even today, in 2015, many will state they do not believe in reincarnation … that humanity has only one life to live and we better make the most of the time we have. We are like little chickens breaking out of our tiny shell and emerging into a world that possesses only hints of the magnitude of life as it truly is. Listening to this lecture by Delores Cannon—delivered in the early 2000s—will give you an excellent preview of the ever-expanding understanding of life within the cosmos. She speaks of the waves of volunteers agreeing to incarnate on Earth in order to serve and, how many have a very difficult time adjusting to life on the 3rd dimensional plane of duality. Many of us are the parents, grandparents, and teachers of these waves of volunteers. Many are actually members of the volunteer groups. Even while we may be conscious of only our daily lives on planet Earth, we are still members of a cosmic community. NOW is the time to walk an ever-expanding Path to Knowledge & Understanding of our Cosmic Community! This lecture is an introduction to much that we do not know we do not know!